Life can get hectic during the holidays. 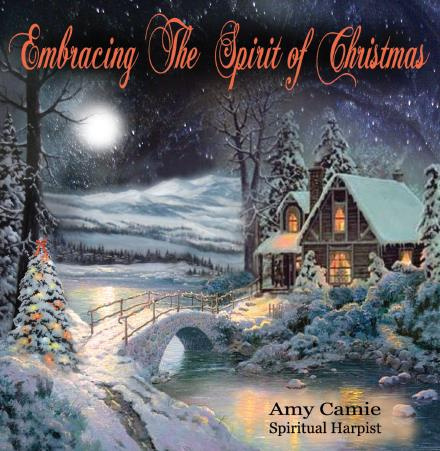 "Embracing the Spirit the Christmas"
the true essence of the season. It’s not what we expected but it’s perfect! The Spirit of Christmas was definitely present when recording this CD in the studio. Here’s a little background…My husband, John and I had been talking about recording a new Christmas CD for years. Last year when I played for holiday services and events, I found myself having fun allowing the melodies of traditional Christmas carols to simply expand into varied rhythms, extra measures, new melodic bridges, and completely fresh arrangements or ‘doodles’ as I call them. It was so much fun and we knew these were the seeds for a new album. Fast forward to this November; it was time to record. With all the turmoil and separation happening in our world, we wanted to create something full of joy, celebration, and hope. We selected about 30 holiday favorites and put them on notecards. Then, we listened inside as to which ones would ‘go together’. There was something manifesting that felt fun, fresh and unique. 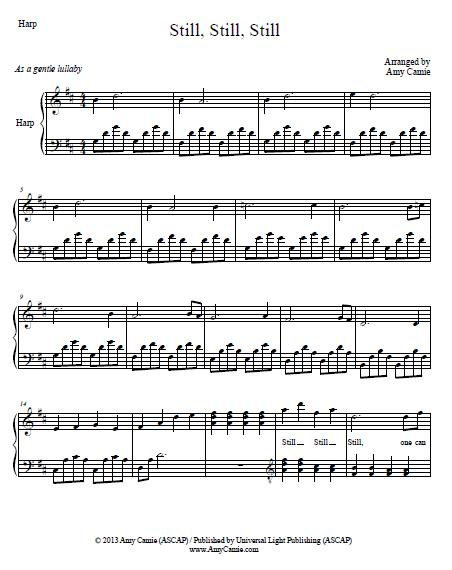 I started practicing these combinations of holiday carols and once again, they took on a life of their own. John and I were excited to get into the studio. The day of recording, we started from the top. One take, then another take, then another. I was getting tired and frustrated. After 2 hours we both realized that this may not be the right day to record and explored another date. 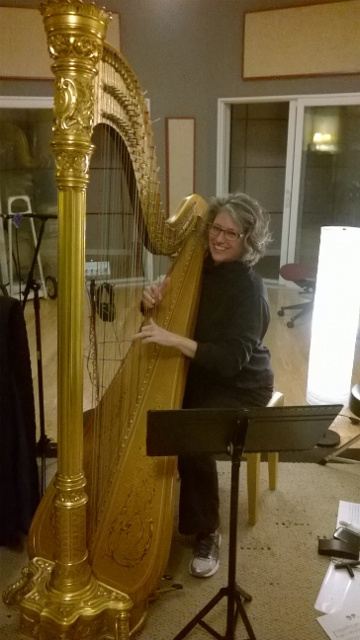 As a ‘spiritual’ harpist, my gift is to sit down and allow the music to simply flow through me. Why was today different? Why was I feeling so tired and frustrated? After about 15 minutes it all became clear. The idea of what John and I thought we wanted to create felt and sounded a certain way – like how I practiced at home. However, today, in this space, the music that desired expression was not coming from what we thought; it was coming through me from a different place of origin. I was feeling tired because my energy was trying to hold back what naturally wanted to express. It may sound weird, but this is my unique connection to the music that flows through me. As soon as I got myself out of the way, the music began to flow naturally. I sat behind the harp and recorded from the top. Tack 1 – done in one take; Track 2 – done in one take; Track 3 – done in one take – and it continued. 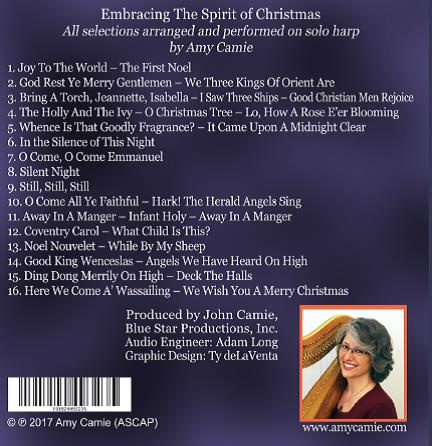 This inspired collection of unique solo harp interpretations is a musical experience, a seamless tapestry of sound that gently weaves a journey of reflective memories, soulful awakenings and joy-filled celebrations that combine to create an opportunity to embrace the spirit of Christmas within us all. "In The Silence of This Night"
This CD truly took on a life of it's own in the studio. as I'm listening to the first audio proof.